Hey there, remember me??? The one who used to be great at posting all the time and now…..well, not so much. Call it “Exhausted Brain Syndrome”. It’s hard to be witty and funny and think of things to say when the kids have been giving you a hard time all day and all you want to do is drink a bottle of wine before bed but you can’t because you’re the responsible adult here so you have to act like it and OMG. Okay. Now that that’s out of my system let’s move on, shall we? We’ve been chugging right along with our school work, though I will admit it’s not been easy. Neve seems to be unable to really focus most of the time. I’m not sure if it is just the age, or the fact that it’s me she’s working with, or if she really has an inability to maintain any attention long enough to do her work. In any case she requires a lot of patience and time in getting her lessons done. Unless it is something she is truly interested in. 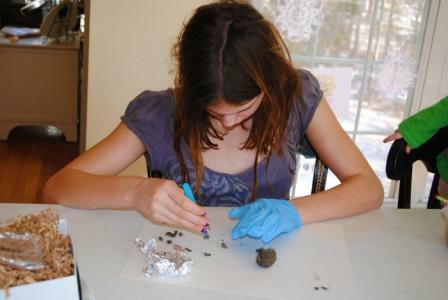 Like say, dissecting owl pellets. 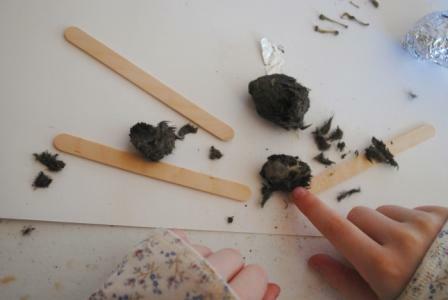 Owl pellets, believe it or not, are easy to come by and dirt cheap to purchase for classroom use. Basically, after an owl eats its meal, the indigestible bones and fur and bits get vomited back up in the form of “pellets”. We can then pull these pellets apart and see what the owl has eaten. 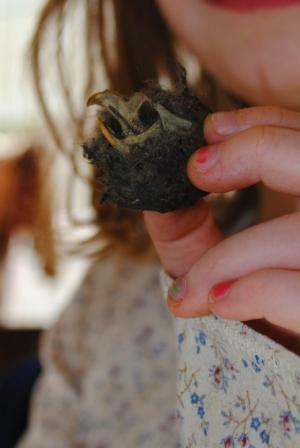 We found many rodent skulls and bones in our pellets. I was hoping maybe we’d find small bird bits as well, but o such luck. 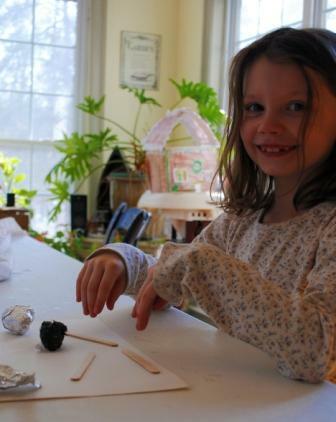 Neve was shrieking with each new discovery, almost as though it were Christmas morning. Emily was completely disgusted and wanted no part of it; she dissected hers as quickly as possible and then showered and disinfected herself. Neve asked if she could keep the skulls. She also wants me to order a bunch more pellets. If only she’s be this interested in all of her school work! This entry was posted in Kids and tagged Homeschooling. Bookmark the permalink.